There are many car hire companies in Cork to choose from we have listed the most popular below. City Car Rentals available at all major Airports And Cities in Ireland. 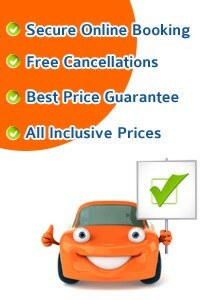 We will bring you the best Car Hire prices available. We compare car hire rates from over 400 approved car rental companies worldwide including Hertz Rent A Car, Avis, Alamo, Budget, Dollar, Sixt, Thrifty and Europcar Crown, Rent A Car in Europe, USA, Asia Australia and Africa. City Centre and Airport Terminal pickup locations. With Car Rental in over 135 Countries at 11,100 locations world wide. One Way rentals are available. Ireland Car Hire provides a great range of vehicles at all major destination in Ireland from cheap economy car hire from A Ford Fiesta to luxury car rentals BMW & Mercedes car hire.